Home to beautiful beaches, romantic hotels, unique museums, gardens and a UNESCO World Heritage Site, San Juan offers plenty to see and do. 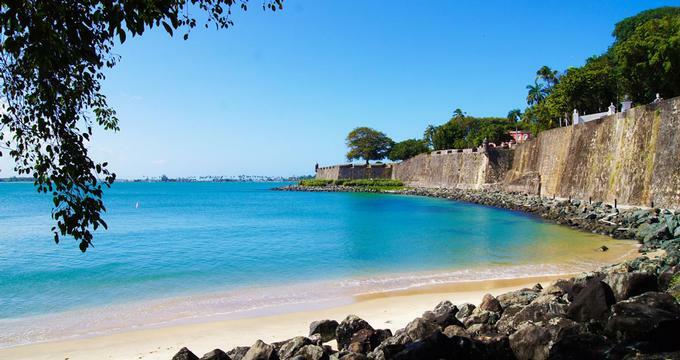 Explore the three forts around the city that comprise San Juan National Historic Site, enjoy the cafes and restaurants in Old San Juan, and sunbathe on the mile-long Ocean Park Beach. Here are the best things to do in San Juan, Puerto Rico. Puerto Rico and especially San Juan were crucial areas for Spanish defense efforts and Spanish control of the route to and from the Caribbean. To protect this valuable holding, they spent 250 years building three large, strong forts (Castillo San Cristobal, Castillo San Felipe del Morro and Fort San Juan de la Cruz) that guarded the entrance into San Juan Bay. 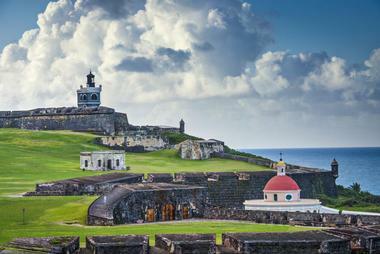 Today, the three forts, most of the city fortifications, and the San Juan Gate comprise San Juan National Historic Site and have been named a UNESCO World Heritage Site. The best way to learn about the site and the fascinating history of San Juan is with the help of one of the Rangers, who offer short presentations every hour. You can also take a peaceful stroll around old San Juan, climb the ancient walls, enjoy spectacular views of the city and the ocean, and get a feel of the spirit of old Puerto Rico. There are several excellent reasons to visit Old San Juan, and one of the most compelling is the thrilling history that every cobblestoned street, ancient gate, or imposing fortress exudes. The whole city is old, but so much of it has been wonderfully restored and preserved that visitors feel like they’ve stepped into the past. There are many fun ways to explore Old San Juan: you can take an organized tour through the Old San Juan Heritage Walking Tours company or rent a bike, boat, or even a hydroplane. If you are wondering what to do in San Juan, Puerto Rico today, this is a great place to start exploring. Depending on your interests, you might want to take a cultural tour, a tour of the countryside, or food tour, which are just a few options. Alternatively, you can just walk around and soak up the atmosphere, sample tasty street food, and listen to one of the many street musicians. 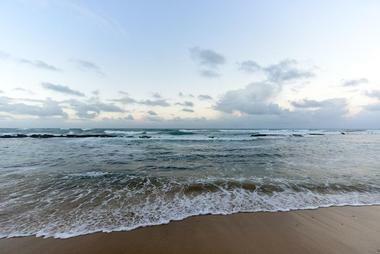 Your trip to San Juan has to include at least one visit to Ocean Park Beach. This one-mile stretch of sugar fine sand is a favorite place among locals for morning strolls, making sand castles with the kids, enjoying a refreshing swim, or taking a nap under an umbrella. The beach is lined on one side with numerous condos, hotels, restaurants, and shops. On the beach side you can find a few shady spots under swaying palm trees. Most days, is not terribly crowded, making it perfect for relaxing. There are few entrances to Ocean Park Beach, but the most convenient one is located at the end of Condad through the Parque del Indio. For the last 30 years, Castillo Tours have been introducing tourists from all over the world to the authentic Puerto Rico. First, they take you on a tour of the Historical Old San Juan. After that, you get to choose which direction you want to go: Explore the Rainforest, see how they make rum at Bacardi Tour, hike through El Yunque Rainforest, or do some spelunking at Camuy and Window Caves. If you would rather be on the water, you can try your hand at deep sea fishing for marlin, do some snorkeling on one of the many deserted islands, or take a romantic Sunset Cruise. Your itinerary depends on how much time you have, how much money you want to spend, and what you really like to do for fun. 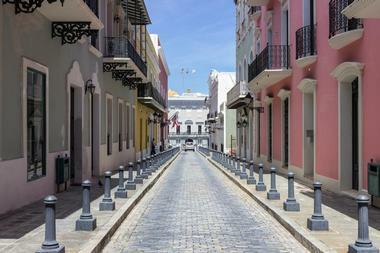 In and around San Juan, there is something for everyone. 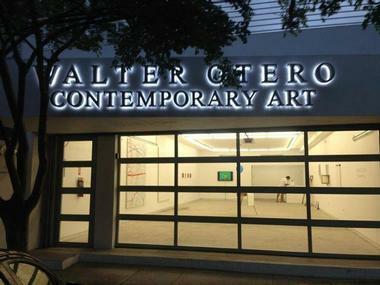 Walter Otero Contemporary Art (WOCA) is a progressive and modern art gallery in San Juan. It is dedicated to supporting and promoting young Puerto Rican contemporary artists. The gallery, designed by Luis Luis Gutiérrez and Pedro Muñoz Marín, is located in the Old San Juan’s Historic District in Puerta de Tierra. It has more than five thousand square feet of gallery space spread out among three floors. There is also a rooftop garden that serves as a venue for outdoor exhibits, parties, and other gatherings. The gallery represents a large number of Puerto Rican artists with international reputation. It is the brainchild of celebrated art dealer Walter Otero, and the gallery has acquired a reputation for being the most influential modern art gallery in Puerto Rico and one of the best things to do in San Juan, Puerto Rico. The University of Puerto Rico Botanical Garden is a live laboratory featuring the country’s tropical plants and their ecosystems. The garden is spread out across 289 acres of land that includes magnificent lakes, waterfalls, sculptures, and 30,000 plant species, some endemic and some endangered. Located just across from the historic San Juan Gate, there is a lovely 300-year-old house that was the home of Felisa Rincon de Gautier, one of the most prominent and influential Puerto Rican women of the 20th century. She was the first woman mayor of an American capital city, and she served as a mayor for 22 years. The museum holds many of her personal effects, awards, and memorabilia. It is open to the public and offers a rare glimpse not only into the life of a remarkable woman, but into the way of life of an influential Puerto Rican family. The museum frequently holds conferences, seminars, and workshops. The Felisa Rincon de Gautier Foundation manages the museum. If you get tired of eating and walking your way through San Juan, Puerto Rico, you should consider seeing the country from the point of view of some of its fine contemporary artists. The Museum of Contemporary Art of Puerto Rico, one of San Juan's top attractions, is located in the historic Rafael M. Building, which used to be school, and it is part of the San Juan Sacred Heart University. Established in 1984, the Puerto Rican Museum of Contemporary Art not only displays the works of modern Puerto Rican and Caribbean artists, but it also introduces the general public to all forms of modern art expressions. The galleries are located around an open courtyard on two floors. The art ranges from paintings and sculptures to sound, video, and multimedia installations. A small gallery in the museum’s basement displays art created during the museum’s various workshops. Where to stay: 15 Best Romantic Getaways in San Juan, Puerto Rico. For foodies, every trip is an opportunity to sample the best foods each new place has to offer. Taking this journey with the help of knowledgeable insiders who are part of Spoon Food Tours makes the experience so much more enjoyable. Their guides will take you off the beaten path to visit places tourists normally do not have the chance to see. You will savor real authentic Puerto Rican dishes in restaurants and cantinas that are the favorite spots frequented by locals. By experiencing the food, you will learn so much about the culture, history, and everyday life of the island. Morning people will particularly enjoy Old San Juan Walk & Taste Tour, which starts at breakfast. With the San Juan Drive Around Lunch Tour, you will explore San Juan’s lunch menu from the comfort of an air-conditioned car, while the Sip & Savor Drinking Tour will take you around San Juan’s most popular drinking establishments. After exploring San Juan on land, you should make a point to visit its underwater world. Akuazone Dive Center is the oldest and best-known San Jose dive shop. You can take one of their many courses, from the short Discover Scuba course to the Dive Master and Instructor course. They have a number of highly qualified and experienced instructors. If you are already a certified diver, you can visit some of the magnificent reefs around Puerto Rico using Akuazone’s high tech dive equipment and in the company of one of their dive guides. The number and variety of the sea life in the warm tropical waters will amaze you. If diving is just not your thing, Akuazone will be happy to take you snorkeling.